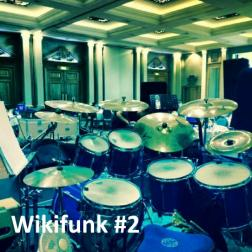 Some fairly recent completed funk tunes featuring the mighty array of talent found on Wikiloops. As always, a complete pleasure playing with you guys and girls! Another very cool collection of tracks you did and i was lucky to be part of a few here! It is always a joy to add to your tracks or when you add to our tracks! You just know wich way a track got to go! Thanks for your cool music! Huge pleasure to play with you or to listen to you Martin. I'm proud to be part of some of your tracks and in this album. great collection of awsome wiki-talent :) thanks a bunch for featuring me in these !